Google is rolling out plenty of updates today, including a new version of Photos. This update probably won't change much for most users, but if you're preparing a photo book, you'll now have the option to add captions to your shots. A teardown also reveals plans to support editing of stereoscopic images and there are a couple new types of suggestions that may pop up on some of your photos. These days, almost every service with any kind of social element includes a place for a profile picture. Most apps will also give users an opportunity to crop the image down before locking it in, that way you don't have to break out a photo editor just to center yourself and cut out other people from the shot. Most people probably never noticed it, but this little convenience feature wasn't available in Allo, at least not until now. Adobe's Max 2017 event was today, where the company announced plenty of new apps and updates for its Creative Cloud suite. While the spotlight was mainly on the desktop, the mobile apps have also received a few improvements as well. 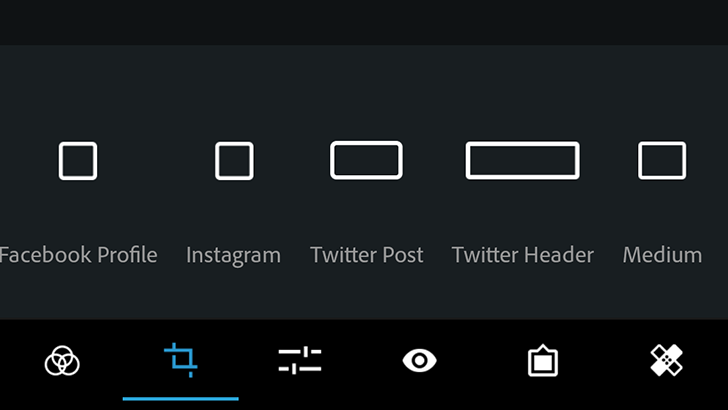 Lightroom for Android was updated with a tablet UI and enhanced search abilities, but the Photoshop Express app is receiving a few new features as well.